Living life in China has become a nuisance for many, due to its incredibly strict internet censorship laws. The government aggressively wants to maintain control over the flow of information on the internet accessible to Chinese users. This has stifled political dissent, affecting communication technologies, the formation of international entities, eliminating “freedom of speech”, and affecting areas of academia to business and policymaking. The Great Firewall also bans anything “outsider” to the country, causing hindrances for many, especially expats reliant on Google and its many services like the most popular email platform of today, Gmail. Situations are so bad that users cannot receive emails from people using GSuite tools, despite using their own name. For instance, If an email reads jane.doe@fudgecensorship.com, it still may be hosted by Gmail and hence be blocked. For this reason, we have created a detailed guide on unblocking/accessing Gmail using the Best VPN for China. All unlicensed VPN provider websites are blocked, along with their entries in Google Play Store and iTunes. So get the White-listed VPN service for China and connect to the world while you unblock Gmail or other geo-restricted services in China. Is Gmail Blocked In China? How to Check If Gmail is Blocked in China? Which Google Services are Blocked in China? As the name implies, Gmail is an email service created by Google, which uses an advertisement-supported platform to provide secure/encrypted emailing to users all over the world for FREE. You can access Gmail directly from the web or via third-party programs that synchronize content from IMAP or POP protocols. Developed as a limited beta release on April 1, 2004 – Gmail initially offered a stored capacity of one gigabyte per user, setting it apart from the competition at the time. Slowly, the service began growing at an incredibly fast pace, ranking as one of the best email platforms for both individuals and businesses. After to a 2014 estimate, almost 92% of startups and 60% of mid-sized companies in the US, were using Gmail. Today, the service goes the extra mile by offering 15 gigabytes of storage to new users, who can receive emails up to 50 MB in size or more by inserting them into Google Drive. 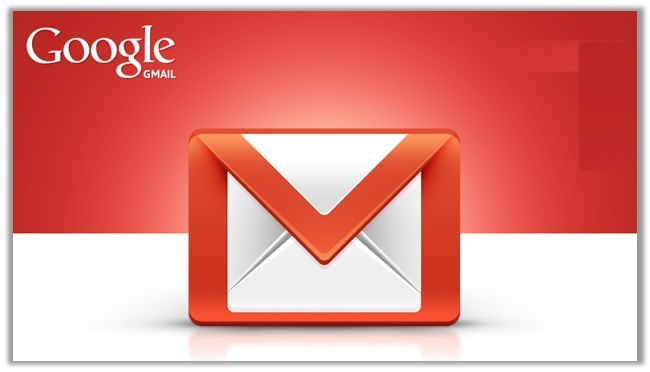 Currently, Gmail has over 1.4 billion active users worldwide! Google was already facing a tough time in the Chinese market, after the introduction of its Chinese version of Google News and the Search Engine. The president of Google China “Kai-Fu Lee”, tried his best keeping the tensions low. In 2009, Kai-Fu Lee left unexpectedly right amid the debates on Censorship Policies, and Google’s decreasing share rivaling Soso.com and Baidu. With increased pressure of meeting the internet laws of China, Google tried cooperating. However, one can only stay bent for a certain time, and the incident on January 12, 2010, completely changed the severity of the situation. 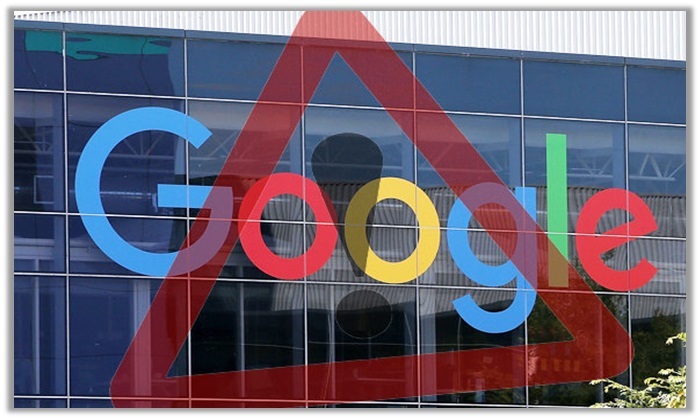 Google became a rebel, announcing that it was “no longer willing to continue censoring”, citing a Chinese-originated hacking attack which saw the breaching of Gmail accounts of Chinese Human rights activists. Thousands of activists, who were found having ties to Falun Gong and other fields such as intellectual property/democracy and encryption were affected by the attack. This urged Google to redirect all search queries from Google.cn to Google.com.hk in Hong Kong. On November 2012, Gmail further slid into more trouble. According to GreatFire.org, China had blocked access to all Google domains, including Search, Maps, News, and Gmail, due to an attempt to control the content users get access to. Google then introduce a new software feature, warning users about blocked/censored words in China. By early June 2014, the censorship efforts were further increased, to prevent the public from bringing up the government crushing a demonstration of students. Unable to recover from the annual disruptions, despite being accessible via IMAP, POP3, and SMTP forwarding protocols, Google services, such as Drive, Translate, Maps, and Gmail were all censored. This ultimately led to the demise of anything “Google” in China, which includes the email service. Currently, Gmail is blocked in mainland China, which includes all parts of the country except Macau, Taiwan, and Hong Kong. It is not necessary for you to use a tool or software to check whether Gmail is blocked in China. All you have to do is enter the https://www.gmail.com into the URL, and you will receive an error immediately of the site being inaccessible in China. As mentioned earlier, Google packed its bags back in 2014, after standing against the scrutiny of the Chinese Government for quite a long time. However, ever since their market share dropped, there was no reason to continue their email service in the country. Beginning July 2014, Gmail began experiencing severe disruptions & down times causing the service to go completely unusable. Great Fire a China based privacy advocacy group blamed the Great Firewall, but it was soon discovered that the case was actually something else. The Chinese government does not support foreign based tech service providers to operate freely in the country, everything being monitored by the Golden Shield project. They even demanded that Google not only host all Chinese user data within the country but give them access to the source servers. After refusing to do so Google were requested to leave the country and all its services banned from access including Gmail. Hosting the most powerful censorship regime in the world, the Chinese government refused to listen to the US State Department and every other authority that request them to reconsider. I laughed for a full 5 minutes when I read Ms.Chunying’s quote, Gmail remains blocked to this day in China. The Great Firewall of China blocks off all online requests made for foreign based communication services like Gmail and blocks them instantly. A China VPN service allows Chinese internet users to bypass the Great Firewall, using what is known as a secure and encrypted tunnel. Once under the protection of the VPN your IP address is secured by the VPN server. The VPN server hides your original IP address by replacing it with one of its own IP addresses. For example, if you connect to a Singapore VPN server, your IP will be replaced by one from Singapore. When it comes to unblocking/accessing Gmail in China, users can always rely on VPN services, despite the government placing strict restrictions on these privacy tools. In fact, the local Google Play and iTunes Stores also remove all VPNs from their listings, apart from a select few, which we can only assume have a deal of following the rules/laws of the Government, pertaining to data collection. Now, you have two options typically: create your own VPN on a Digital Ocean cloud server via Jigsaw or a third-party service. For those of you who do not know, Jigsaw is a Google Affiliate that uses an open-source coding, which enables users from around the world, to create a VPN via the Shadow Socks Proxy on a VPS (Digital Ocean Cloud Server). NordVPN enjoys a strong reputation among privacy advocates and online security specialists, thanks to the provider being based in a strategic location i.e. Panama. The country does not impose mandatory Data Retention Laws and believes in the freedom of user information. As a result, you can feel assured that the government is not monitoring you, meaning all your data is safe when using NordVPN. To our satisfaction, the provider even adopts a strong focus towards privacy. It boasts a no logs policy and provides military-grade, 256-bit AES encryption. At the same time, it offers all the advanced features to keep your identity anonymous. These include Automatic Kill Switch, DNS Leak/IPv6 Protection, Stealth Mode, Tor, and Double Hop! You also leverage cheap pricing. If you decide to go with the 2-year plan, you will only have to pay $3.95 per month. This is quite reasonable, especially for users who are looking for budget-friendly plans. 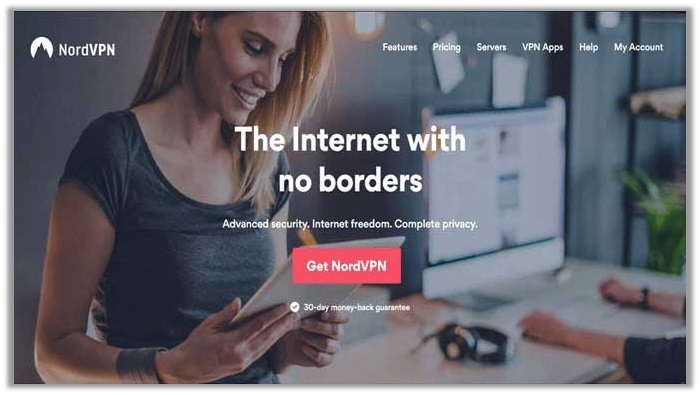 As for those located in China, NordVPN offers you specialized servers that bypass the Great Firewall, enabling you to explore the internet and unblock services seamlessly, without hassle. Just open the NordVPN app, head towards advanced settings, and activate “obfuscated servers”. This will allow users to use the VPN under heavy restrictions, as they use an extremely secure networking of servers, to create a protected and encrypted connection for you to enjoy! Based in British Virgin Islands, ExpressVPN is a reliable and privacy-focused provider that offers the best features and security for engaging in P2P/Torrenting and streaming, while unblocking and bypassing the Great Firewall in China that blocks a lot of Google Services including the infamous Gmail. The VPN boasts a strong reputation for anonymity and offers a strict no logs policy, which has been verified and certified from BestVPN.co. In fact, the VPN is probably one of the safest options available right now. ExpressVPN cleverly slipped through a Turkish investigation, involving the assassination of Russian Ambassador Turkey, all because of its value of user privacy and keeping NO LOGS. Turkish authorities even seized the server in question and conducted a thorough inspection, but could not find any find anything pertaining to the details of the off-duty cop who assassinated the Russian Ambassador and later deleted his social media accounts. This only reiterates how secure your data is with ExpressVPN. Once you sign up with ExpressVPN, you gain access to 2000+ 140 servers in over 90 countries worldwide, which grants limitless unblocking capabilities. You can bypass geo-restricted websites like Netflix, Amazon Prime, Hulu, and BBC iPlayer, along with other social media apps like Facebook, Instagram, Google+, Snapchat, and WhatsApp, all of which are inaccessible to users in China. You even receive 256-bit AES encryption, and dedicated apps for Windows, Mac, iOS, and Android, along with custom VPN routers. 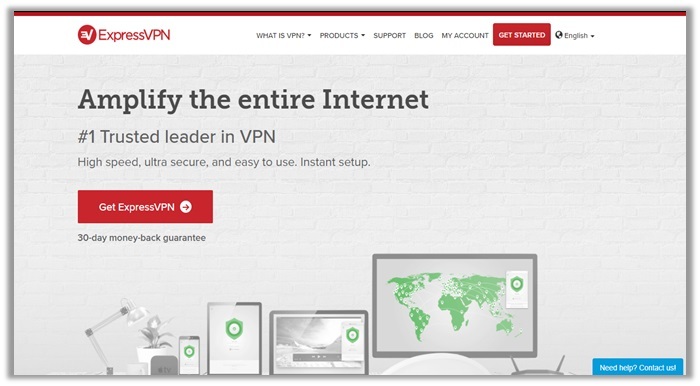 VyprVPN is a Switzerland-based provider that has quickly risen to fame in the VPN industry, thanks to its remarkable unblocking features, fast server speeds, and the huge server database. You even have the famous Chameleon Technology and VyprDNS tools available, which boost your protection and anonymity against DPI and DDoS attacks, a commonplace for those who actively engage in gaming. These privacy features even resolve bandwidth throttling (a common trait among most local ISPs). For unblocking websites, the VyprDNS even adds a customized and secure DNS into your computers’ IP address, which tricks websites into thinking that you are located in the approved list of countries, hence allowing you to bypass DNS-censorship – an increasing problem with the increased blocking of VPN and related services. The monthly pricing starts at $9.95, but if you opt for the yearly plan, you only have to pay $60 annually, which is quite pocket-friendly as compared to others. It is now clear that using a VPN is crucial for unblocking Gmail in China and gaining unrestricted access to other foreign services. However, how can one use a VPN, when the services are blocked in the mainland? You need to ensure you are able to access the internet upon arriving in Mainland China. For this, you can try connecting to Wi-Fi networks, but most may require text verification. A better option would be to setup international roaming with your telecom provider from home or arranging a rent phone. Connecting to the internet is only the beginning. Next, you will have to subscribe to a VPN service. One that you can use during your time in China and for bypassing the blocking in a different country. You can check out NordVPN and ExpressVPN, as they both have dedicated Chinese websites available. After installing the app from these dedicated Chinese websites, you will have to connect to a secure location for anonymizing your activities in the country. For this, choose any server closest to you. Hong Kong is a suitable location, where Gmail is still accessible. Android phones use the same server for actual app information and sending in notifications. Their iPhone counterparts, on the other hand, get mail notifications from a different server. In other words, you may still get notifications upon disconnection from the VPN, but you will not be able to open them. 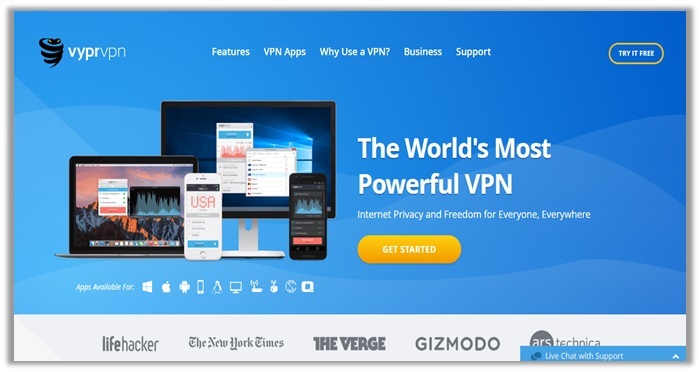 For this, you will have connect to a VPN service. The Chinese Government and its Firewall is very active when it comes to blocking connections from VPNs. They use an algorithm that instantly detects and blocks IP addresses using VPNs. This is why it is imperative to have a backup service available. If one gives trouble working, you can always use the other one for unblocking your favorite websites/apps/service. If you are subscribing to a VPN service that does not have a dedicated Chinese website similar to NordVPN and ExpressVPN, it is a good option download and install before landing. This way, you can be sure not to face any download/installing issues, when arriving in China. Your phone will already be equipped with the tool needed for bypassing the firewall. If signing up with a VPN seems too much of an hassle or you do not want to spring $60 to $100 for a service, users have the ability of forwarding all their emails to an Hotmail account. As another option, you can even sign up for a Chinese Sina account. This way, you can at least make sure that you receive all necessary emails from your workplace and acquaintances. The China Government keeps logs of all VPNs operating in the country. Avoid Chinese VPNs. Log out of social media apps & accounts, email accounts and websites before disabling VPN. Remember to clear your PC & smartphone browser caches before/after using Gmail or any other Google Service! Gmail is no longer the most popular & secure email service in the world after the NSA, CIA, GCHQ, ACSC, and Mossad compromised the servers in their respective regions. There are, however, a number of growing encrypted email services emerging. 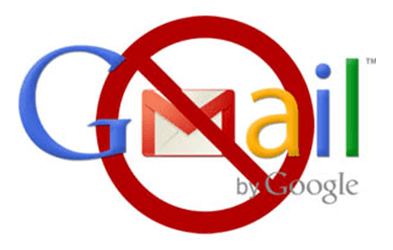 Here is a list of the best Gmail alternatives you can access in China, without any hassle. We hope this helps you select one that best suits your needs! 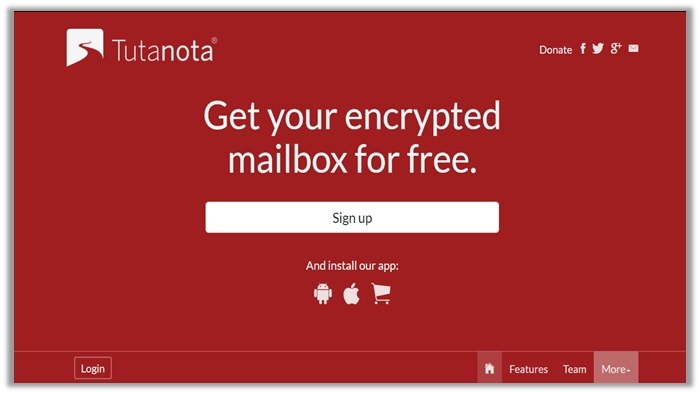 Tutanota is a Germany based service with its own apps available, rather than using local apps like Outlook, Android mail feature and iOS default mail apps. Powered by a fairly simple web UI and excellent mobile apps, it is something every Chinese user should consider for important emails. Using end-to-end encryption protects all your contacts, emails, subjects, bodies, and attachments. The best part of all: the service is free of charge. Business users can get a premium account at reasonable pricing. 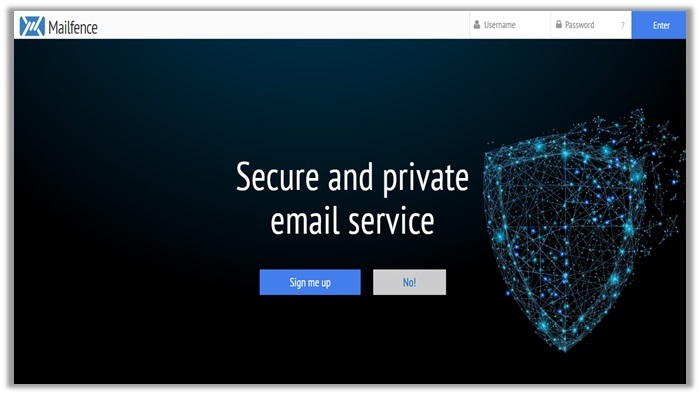 Based in Belgium, Mailfence is another popular alternative to Gmail, which uses signature encryption to offer maximum security. It is the creation of the experts behind the renowned virtual office tool ‘Contact Office’. The email service is one of a kind, supporting Exchange ActiveSync, IMAP/POP, and other vanity domains like DMARC, DKIM, and SPF. You even have apps available for all mobile devices. Since the service is located in Belgium, you can also feel assured your activity is safe from Chinese or US gag orders/NSLs. 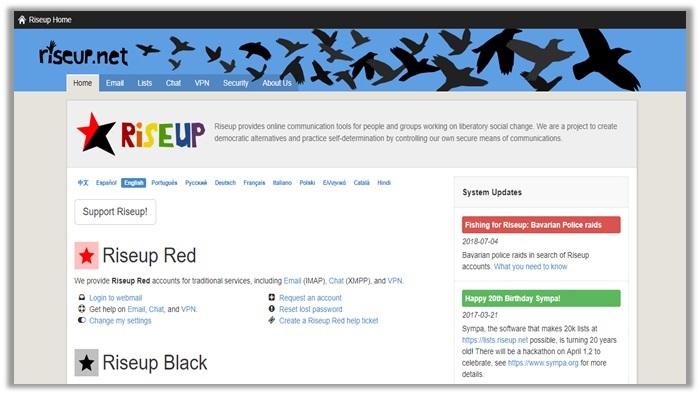 Launched by activists in Seattle back in 1999, Riseup is a volunteer-run collective service, which provides a range of different products including online chat, email listing, VPN, and email accounts. Though it is based in the US, the service is renowned for its mission against mass surveillance and social control. 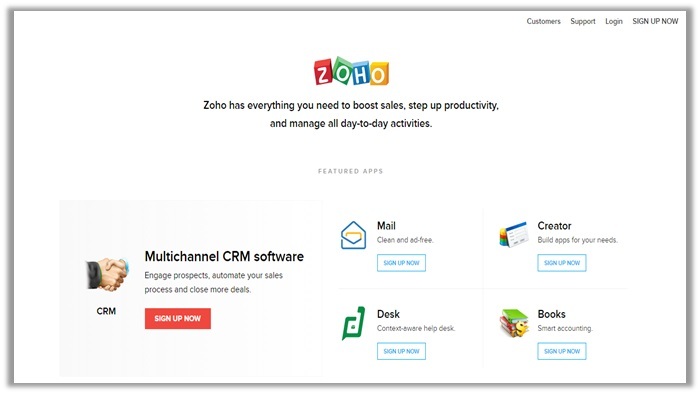 Zoho is another reliable Gmail alternative, which offers a smooth and ad-free UI, equipped with powerful individual and business features. It is available in both: premium and free versions that can integrate into Zoho’s official suite of nine applications like the Office Suite, Connect, and Zoho Docs. The overall appearance and design of the email service is also unique with the Enterprise edition being the most feature-rich. Zoho even supports POP/IMAP and other strong encryption tools for privacy! 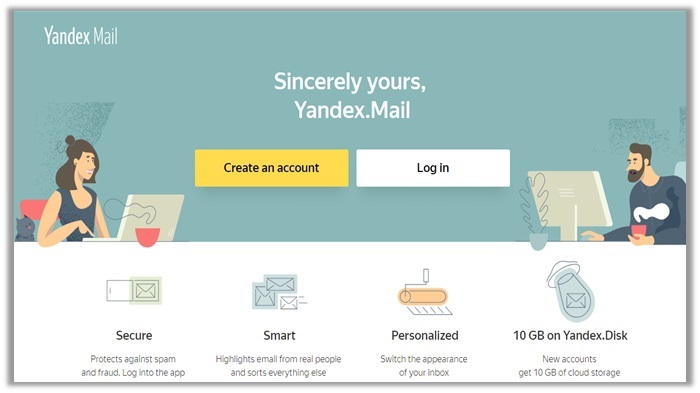 Similar to other email services, Yandex Mail offers a free version, which gives you 10 GB of cloud storage. It provides secure encryption against spam emails, viruses, and emails from fake or reported IDs. It supports IMAP/POP and offers native apps for all smartphones. The best part of all: it uses a secure SSL/TLS connection, which means unauthorized users cannot read your emails. The provider even offers keyboard shortcuts for easier functioning. You even have an email scheduler available. Quora is quite a helpful platform loaded with professional/experts from various industries, who share their vast knowledge about different topics/discussions, to provide viewers/users with relevant and accurate advice. This includes receiving information about a multitude of problems relating to the internet laws and cybersecurity issues in various countries. You can find a Quora user discussing why Google is blocked in China, and why you need a VPN to circumvent geo-restrictions to use Gmail freely! Go to the Settings menu of your device then go to General>VPN> Add VPN Connection. Select from PPTP or IPSec tunneling protocols and enter a name for connection in the description. Enter the server address (request provider) in the server field and your credentials in the account and password field respectively. Send All Traffic switch must be turned on then click save. Your VPN connection is now ready to connect, go to Settings and click VPN. 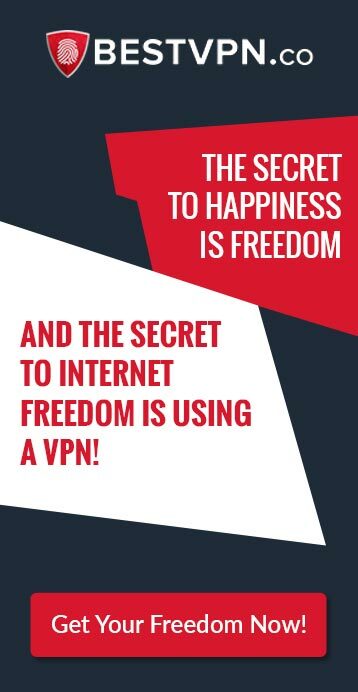 Click the Status switch to connect to the VPN and experience complete online freedom. Pro Tip: You can also get the iOS VPN app and select your purpose and desired server in one click. Screenshot of PureVPN’s iOS App, Notice that there is exclusive Purpose to Unblock services in China. Excluding Gmail (that works upon using a VPN), there are plenty of other third-party email services in the marketplace, which have been gaining momentum over the past few years. However, most of them fail to offer the same level of security and encryption, one may think to receive. In fact, one FREE email service was recently even caught having ties with a data-mining firm. Other names you should know about include Tutanota, Mailfence, Riseup, Zoho, Yandex Mail, and Fast Mail. Can I get Gmail in China? 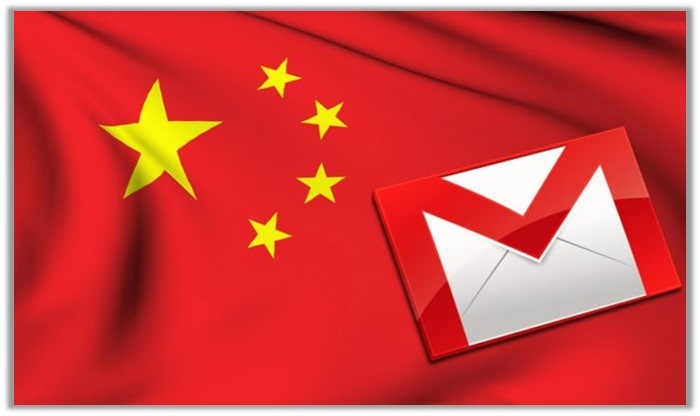 Lots of people still ask “Is Gmail not allowed in China?” Yes, the government imposes a ban on anything “Google “or outsider, but there is still hope for users to access their favorite email service i.e. Gmail. You can do this by relying on VPN services, which mask your IP address and shift your location to cloak your identity. The process of unblocking Gmail is simple. Just connect to any server outside China and you will be able to use the service at the maximum level of convenience, without any hindrances. However, as time passes, the fog of optimism seems to disappear and the internet too is now a victim of severe control by World Leaders, who want to control every aspect of the human life. China has already succeeded in this feat. My company bought NordVPN’s subscription to every employee that travels a lot, and I must say that it changed everything. I often have business trips to China, so before it was a massive headache on how can I use all the needed apps in there. Now I don’t need to worry, I know I could answer all the burning emails if I need to. Hey fairiesarenotreal, unblocking your apps in China is definitely a hassle unless you have a good enough VPN. We are glad that you acquired Nord’s subscription for your whole firm. We would love to know which apps does your company need your employees to be on in China and what kind of apps do your employees use easily while under a VPN’s protection in China? Would be waiting for your reply definitely! I read that you can add a Gmail account to your Yahoo account and access/reply to Gmail that way. Is that true? Hey Ren, great to see you commenting here! Coming to your question, we doubt that there is way to do that but a method to do the opposite does exist. You might not be able to import your Gmail account to your Yahoo account, but you can definitely get your Yahoo mails in your Gmail account. For this either you need to upgrade to Yahoo Plus or use Gmail’s import mail feature. If you want a detailed guide on how to do this, please mention it in this thread below.